Learning musical intervals is easy. Here you will learn to identify and understand simple intervals. 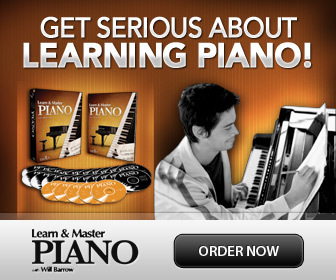 This will help you when playing and reading music, and when learning music theory. 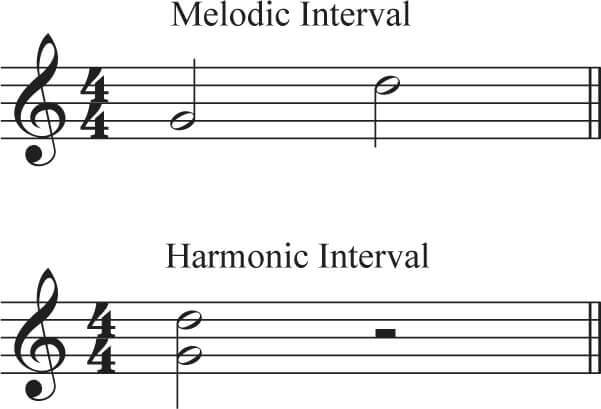 An interval is the distance from one note to the next. Knowing about intervals, and being able to quickly identify intervals as patterns, helps both with playing and reading music. Intervals can be played either one note after the other; called a melodic interval, or played at the same time; called an harmonic interval. First you need to identify the number, or how many steps there are from one note to the next (this is what we'll learn here). Measuring the distance from one note to the next is very easy. Simply count! From any note, to the next up or down, is a Second. 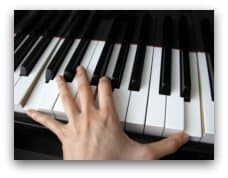 From any note, up or down, skipping one note in between, is a Third. Skipping two notes, is a Fourth. Skipping three notes, is a Fifth. Skipping four notes, is a Sixth. Skipping five notes, is a Seventh. Skipping six notes, is an Octave. Why not call it an Eighth? Yes you could, but it is more common to call it an Octave (Which is Latin for 8th). Larger intervals, after the octave, are logically called a ninth, tenth, eleventh and so on. But in music theory and learning about intervals, it is less interesting, since after the octave the intervals simply repeat themselves in the order above, but with an added octave. So, a ninth is actually an octave plus a second. A tenth an octave plus a third etc. These larger intervals are called Compound Intervals. There is a little trick to learning how to quickly identify and remembering musical intervals. First of all; after you learned to count (above) - stop counting! Instead look at the "shape" of each interval. Next, take a closer look at these intervals; 2nd, 4th, 6th and Octave (2,4,6,8). So, the group of intervals with even numbers have an un-even look. See, it's pretty easy to identify each interval without counting! Yep, only three- since the Unison is too easy to learn, and we did that already. See how in each of these intervals, both notes are either space-space or line-line. So, un-even numbers... have an even look! Now you see how easy it was to understand the basic, simple intervals. The first step in learning intervals was identifying the number as we did here, counting and visually. The next step is to learn how each interval can be major, minor, perfect, augmented and diminished. This is called Interval Quality.